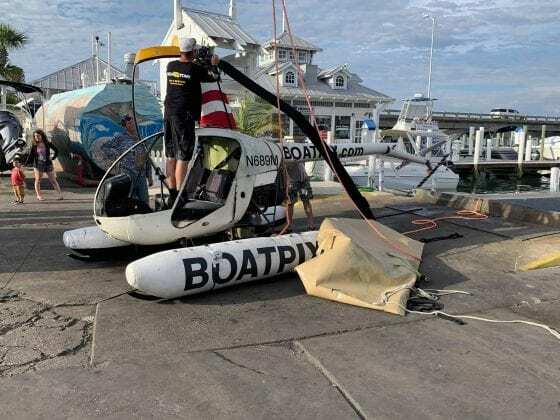 Updated April 15, 10:07 p.m. – BRADENTON BEACH – A helicopter crashed off Coquina Beach Saturday afternoon with two men escaping injury. U.S. Coast Guard Station Cortez responded to the South Coquina boat ramp at 12:18 p.m. according to Officer of the Day Charles Richter. 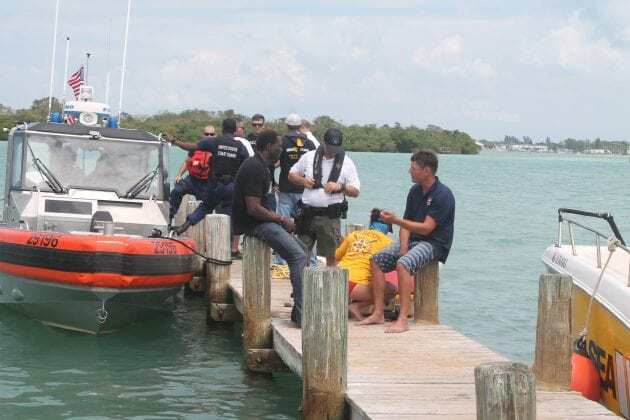 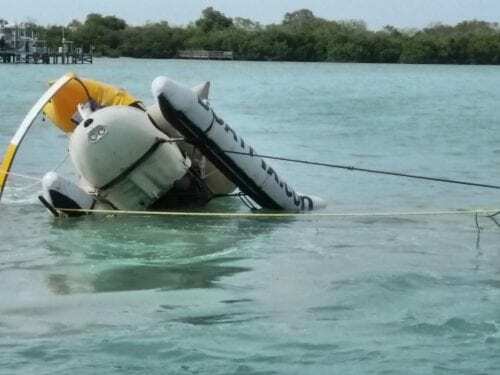 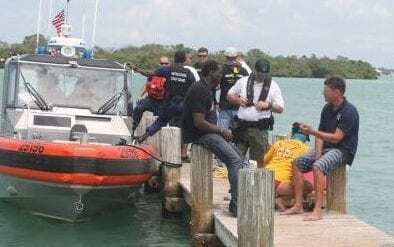 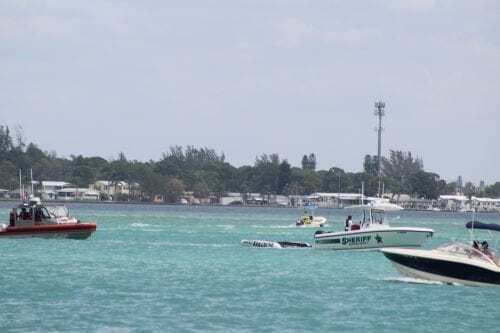 Student pilot Joseph Bakker, of Englewood, and instructor James Rahming, of Tampa, were pulled from the water by the Manatee County Sheriff’s Office, Richter said. 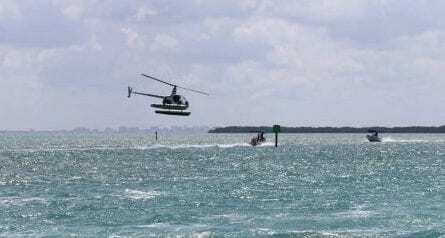 Rahming is with Helicopter Academy, also known as boatpix.com. 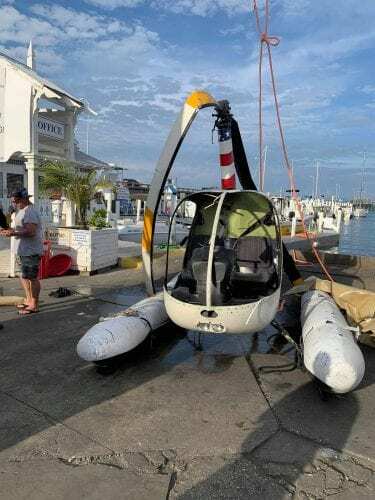 The helicopter is reportedly a Robinson R22. 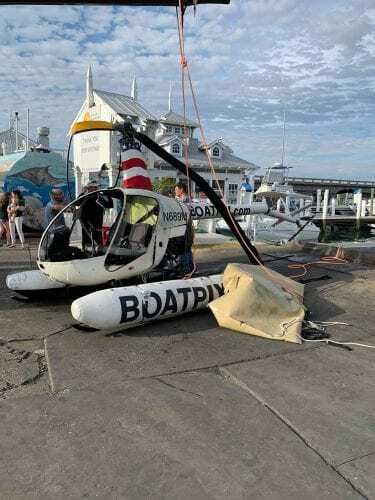 Bradenton Beach Police Officer Eric Hill said he saw the helicopter “trying to maneuver and make a counterclockwise turn and then I heard the pitch of the rotor blades change and it looks like it lost lift due to the way it was turning… that’s when people called that it crashed,” he said. 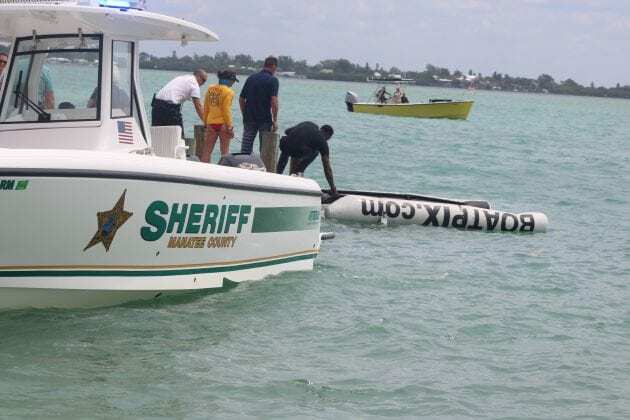 This is the second helicopter crash this year off Anna Maria Island. 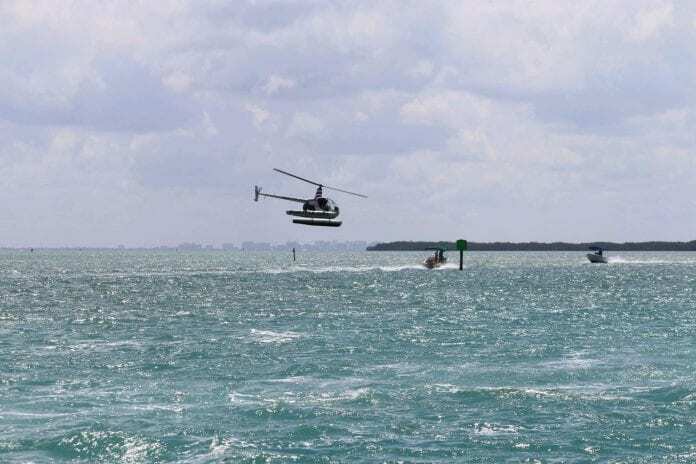 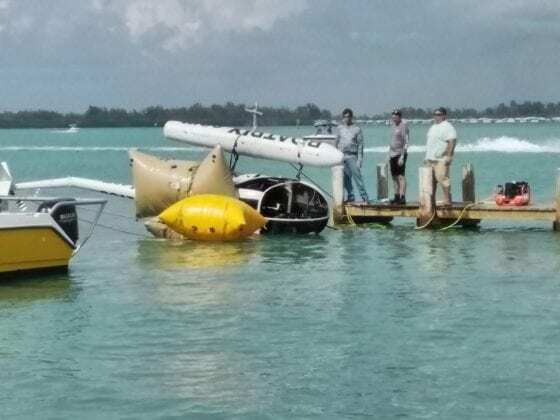 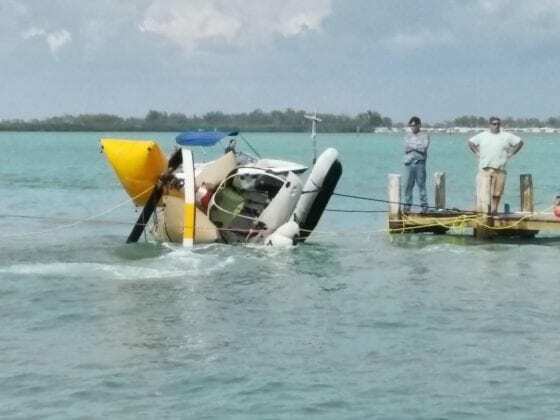 A Robinson R44 crashed into the Gulf of Mexico about two miles off Anna Maria Island on Jan. 2, sending two men to the hospital. 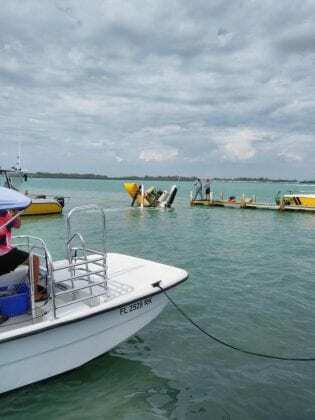 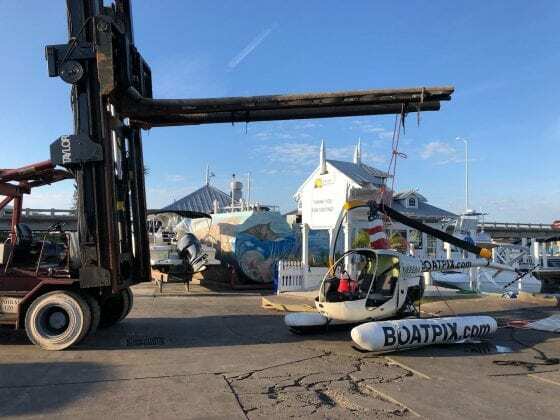 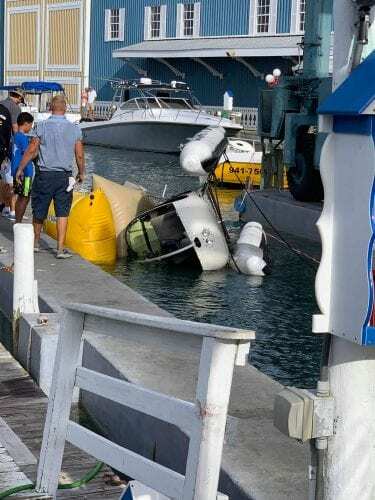 The helicopter was shooting video of a boat about 10-15 feet above the water a half-mile west of the Sandbar restaurant when the crash occurred. 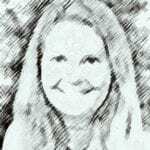 Joe Hendricks contributed to this report.